Security and Alarm Systems to Protect your Business | Central Alarm Inc. Earlier on the blog, we showed that installing an alarm system for your home can be simple. You don’t need to pull a Home Alone to protect your home. Similarly, unless you are worried about Indiana Jones breaking in, you don’t need to pull a Temple of Doom to protect your business. Forget the poison darts, leave out the pressure plates, and scrap the massive rolling boulder. 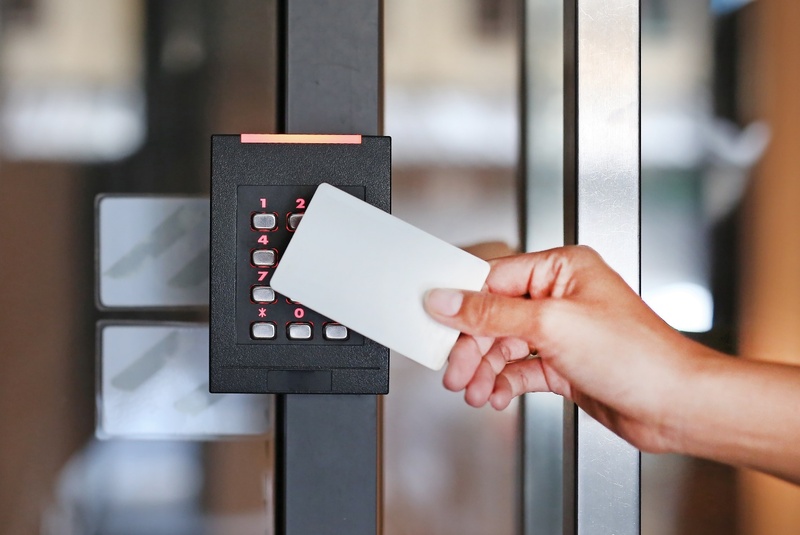 Instead, there are plenty of security and alarm systems for businesses that are significantly more advanced, effective, and secure (and less lethal). Here are several options for security and alarm systems that will protect your business. Fire alarms are a basic necessity for every business. A fire isn’t like a burglar. A fire doesn’t care how secure your business is. Cameras, guards, high-tech locks, lasers, a moat—it doesn’t matter. If there is a fire, everyone needs to know as quickly as possible. Fire alarms are also necessary to make sure local authorities arrive soon enough. When installing fire alarms make sure they meet the local fire codes. If you already have fire alarms installed, it’s also important to ensure the sprinkler system and fire extinguishers are in working order. Seeing cameras in a business is unnerving for a potential burglar. Installing a Closed Circuit Television System (CCTV) will let you monitor your business and help prevent break-ins in the first place. The question then is, What camera system is right for your business? If you walk into a bank or a hospital, you’ll see cameras covering every inch of the building. For those businesses, full coverage is necessary. But for your business, it might be unreasonable to install that many cameras. Perhaps you need cameras pointed at building entrances. Maybe your business needs cameras covering outdoor areas. At Central Alarm, we can work with you to design a system that is perfect for your security needs and your budget. It’s the 21st century, but most people depend on a 19th century technology to protect their homes and businesses: a lock and key. For homes and small businesses, lock and key works pretty well. For larger businesses with many entrances, however, old-fashioned locks with keys are rather outdated and insecure. Hard keys are easily copied and many locks are quickly opened or broken by moderately skilled thieves. However, installing a Card Access Control system solves all of these problems. Card keys are extremely difficult to copy and the locks record when and where a door was opened (especially useful when cameras are watching the doors). Furthermore, it is quick and easy to transition from traditional locks to Card Access Control. It’s high-tech without being high-stress. Crime has evolved with technology. Today, the black-clad cat burglar is less of a threat than a skilled computer hacker. Whether you own a small business or run a large corporation, cybersecurity needs to be a priority. In fact, Entrepreneur.com published an article saying “It used to be that some businesses were small enough to not matter to attackers. . . But with the volume of the attacks and the automation levels of the attacks, any business that is connected online needs to be prepared with proper security measures.” Cybersecurity can be hard to conceptualize, but there are plenty of options to begin fortifying your business’ online security. Internet Monitoring: Analyzes who is accessing your internet connection and what they are using it for. Firewalls: Prevents unauthorized users from getting into your system. Many computer attacks look for weaknesses in firewalls, so ensure yours is strong. Data Backup: Saves all your data so you don’t lose any information if there is a security breach. Password Security: All passwords should be strong with a combination of upper- and lowercase letters, numbers, and symbols. Two-Factor Authentication is probably the most secure option. Educate Employees: Train employees to be aware of cybersecurity, like how to spot a breach, protect passwords, and avoid dangerous websites, downloads, and email scams. Operating a successful business is difficult—long hours, hard work, no short-cuts. That’s why at Central Alarm we take no short-cuts in securing your business. We believe no business owner should show up to work to find a broken lock, a burned building, or an email about fraud on the company card. If you are ready to protect your business, contact our security experts here at Central Alarm. We will work with you to find the best possible solution for your security needs.